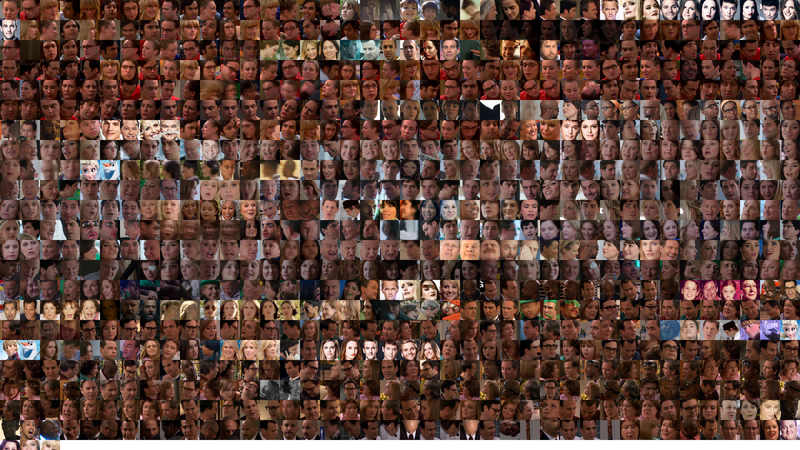 This is a series of faces detected by hand of 90 min of sitcoms and commercials on a CBS Thursday night. 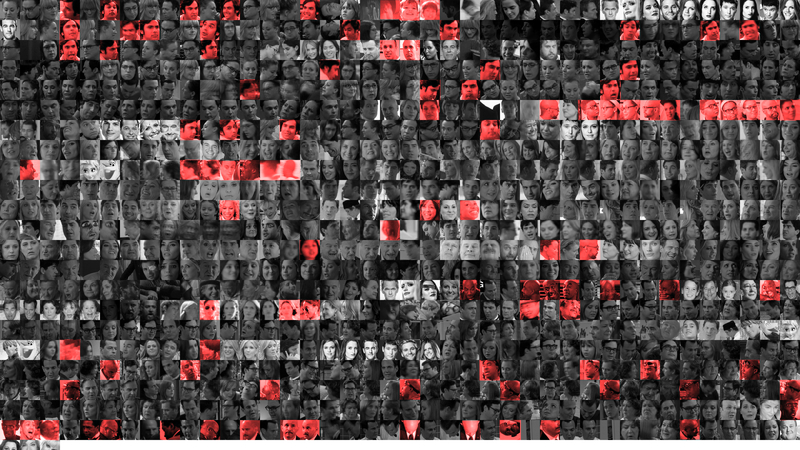 The first montage is the faces in color, while the second montage have the majority of images in black and white, where the red faces highlight faces of People of Color. Download the images here: image 1 and image 2.